Early next year south Sudan will hold a referendum that may result in the independence of the south of the country from the north. This referendum was part of the peace agreement of 2005 and is set to take place on 09 January. We recently received an email asking us to help mobilize prayer for an end to the harassment of citizens currently seeking to register for the referendum. There is fear that the intimidation may result in clashes and even prevent the historical referendum from taking place. In the midst of this reality we have YWAM Africa staff continuing their ministries in both the north and the south of the country. 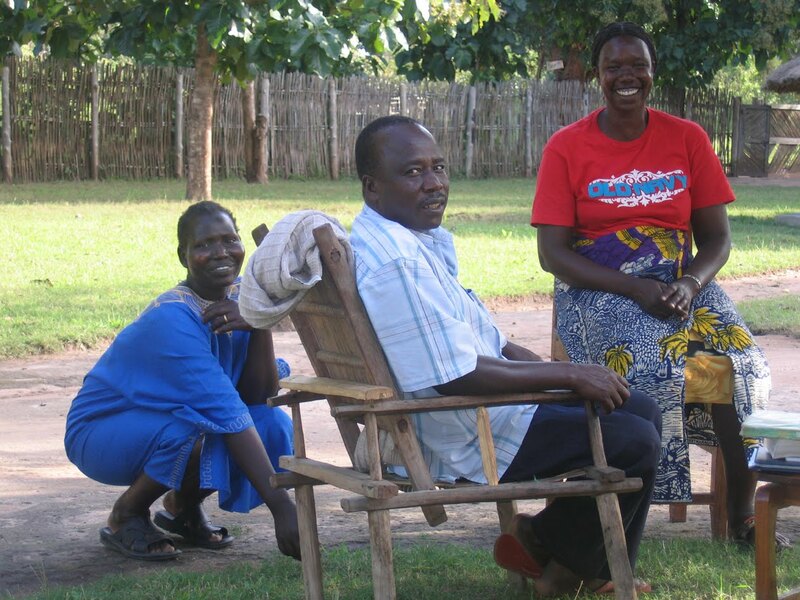 The team in Yei, where this photo was taken, have already suffered many difficult situations due to the conflict in the country. For a long time they would have to leave the base at night due to the fear of raids; within this context they continued to offer discipleship and vocational training. Only more recently have they enjoyed a level of peace that has enabled them to develop their team, their campus and the work they do. These quiet heroes are why we do what we do. The key words of our AfriCom statement of purpose are: connect, champion and change. We want to strengthen YWAM staff like those in Yei, by connecting them with other YWAM teams in their region and across the continent, giving them a sense of the greater family around them who are praying and supporting them. We want to champion them, telling their stories in such a way that others are inspired to pray for them, to make donations towards their work and even to go and serve alongside them for a time. We want to help them bring change in their communities by offering training that equips them with communication skills to be more effective; that enables them to build ministry partnerships with others using those same skills. One of the ways we do all this is through the magazine we produce for YWAM in Africa. In the magazine we feature stories about people like those in Yei and we tell those stories in French and Portuguese, as well as English, so that all our Africa teams can make use of the magazine. We stick with a printed magazine because many of our teams work in places like Yei where the Internet is not adequate for them to easily access websites, or is too expensive. We mail multiple copies to each YWAM base and the staff receive the magazine for free. We have heard that as they look at the photographs and read the stories, the letter from the leadership team, and the information about upcoming events and resources, our hard-working staff feel encouraged. They feel part of a bigger 'missionary tribe', they know others are working as hard as they are to see God's kingdom come in their communities, they know they are being prayed for and are not forgotten. We know that many use the magazine to show to their supporters, or to potential students, because it helps put their work in the context of a bigger picture. All this costs money! We have taken responsibility to raise finances to fund the magazines production and distribution - we want to offer it to our heroic staff members as part of our vision to connect, champion and change. We are raising money primarily through the placing of ads in the magazine and these ads are a great way to build a partnership with the fantastic work YWAM teams are doing in Africa. Remember ... we do it for them!